I am also afflicted with this condition. My husband said that in severe cases it also leads to stretching the truth. Love that shirt, Terry. It really is truthful because the most recently acquired bird is the LAST one until the NEXT one! How's that for twisted logic? 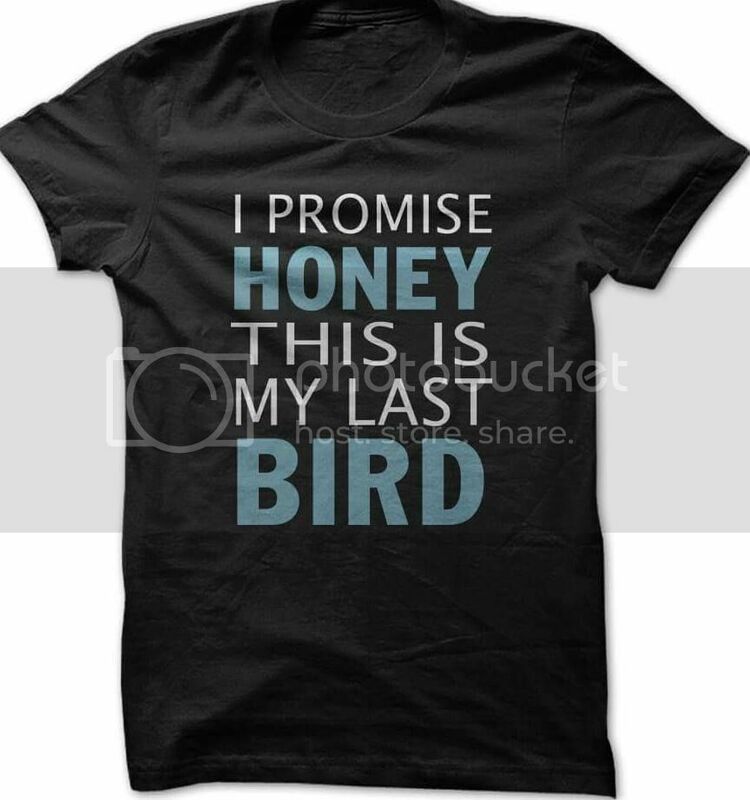 I would need one that said "Sweetheart we have another bird!" if my Plum wasn't such a jealous puss I'd have a houseful by now LOL. Last edited by plumsmum2005; 01-28-2016 at 11:13 AM.